We're into a new year and everybody sets about creating their New Years Resolutions, this is my post to set out what I want to do this year and how I plan to achieve them. 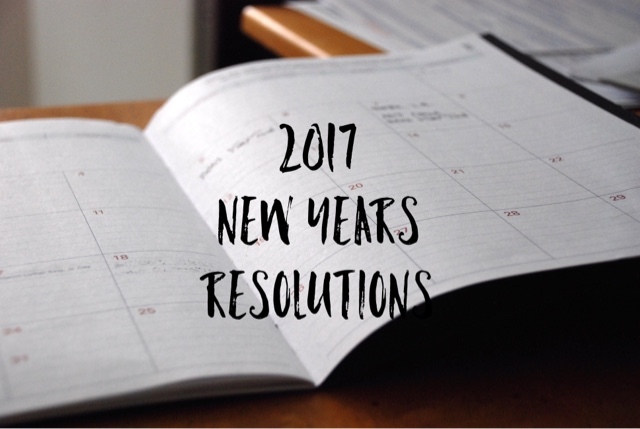 I've picked out 15 objectives that I want to work on in 2017 covering Blog, Gaming & Personal resolutions. It's my intentions to do a quarterly posts to keep people up to date as to whether I'm achieving my objectives or not. Outline what the Five Favourite Friday topic will be in post prior to that week - Since I started my blog, I've done a post each week explaining five of my favourites on a specific topic, but sometimes it's been quite late that we've made a decision as to that weeks topic. When it's my turn to pick a topic, I will include it on the post that precedes it (I hope that makes sense). My Week That Was posts will be issued on a Sunday night - I will start to publish my weekly review on a Sunday night to stop me forgetting about doing it (as has happened a couple of times). I will do a weekly review of the Free App Of The Week on the Apple AppStore - I love a freebie, so I usually download the Apple free weekly apps but never use them. To give them a chance, I'm going to do a review of the apps on my blog, hopefully published each Saturday so readers can still get the app for free. Refresh the design of my blog - This should be easy as one of my Christmas presents is a new header for my blog and we've applied a new template as of yesterday (6/1/17). Be consistent sharing posts on social media - I still feel my blog's in its infancy, but wasn't consistent in 2016 sharing posts on Facebook, Twitter and Instagram, in 2017 I'll share all my posts on each of the social networks shortly after publishing them. Complete wave 50 of Horde on Gears Of War 4 - I was given Gears Of War 4 for Christmas and I've already completed the campaign mode (on Casual), so the next challenge I can see will be to beat wave 50 of Horde as I've not beaten it on the previous games. Complete to 100% 4 Xbox games - Taken from the Xbox post above, I know I'm close to completing a couple of games to 100%, so I'm thinking that I should finally get them over the line. I also want to try and complete two more games before the years through, no plans as yet as to what they'll be mind. Try out the Games On Gold that I download - I have a tendency of downloading, but not playing, the games given away to Xbox Gold members. I want to spend at least an hour playing on these games to give them a try. Complete all The Simpsons Tapped Out events - Not including spending Donuts, I want to complete each act and earn as many rewards as possible. Capture all the original Pokémon on Pokémon Go - When Pokémon Go was released, 149 original Pokémon were included in the game (this has now been increased to 159), in 2017 I'll try to catch the remaining Pokémon that I'm currently missing. I've currently got 90 so there's still a way to go. Lose 21 pounds by the end of the year - In recent years my weight has gone up and I want to start losing weight again. Go out once a month with the intentions to do photography - This resolution is fairly self explanatory, I want to get out and take more photographs. Attend some events - Each year I think about attending a number of shows but in the end, I procrastinate and don't go to many / any. In 2017, I want to be more proactive at looking at what's on and attending some events, two of which will be MCM Comic Con in Birmingham and The Photography show. Take better care of myself - Sometimes I make excuses to not trim my beard or head into town to get my hair cut. In 2017, no more excuses! Watch more TV - It feels a bit weird writing is, but I want to watch more television. In recent years, we have tended to watch a lot of YouTube videos and play video games, but in 2017 I want to watch more programmes on TV, take in more documentaries and recommendations from friends. There we go, hopefully not too challenging and definitely achievable in 2017.